If you had recurrent cancer, but your doctor misdiagnosed it or did not diagnose it promptly, you could have grounds for a medical malpractice lawsuit. When cancer goes into remission, it is a cause for celebration. But it is not a guarantee that you have beaten cancer for good. Sometimes cancer returns after treatment, and when it does, doctors call it recurrent cancer. Some cancers have high rates of recurrence, while others are rarer. Your doctor has a duty to detect and diagnose recurrent cancer. If your doctor fails to do so, you may have grounds for a medical malpractice lawsuit. The Newsome Melton legal team helps patients whose doctors misdiagnosed or failed to diagnose recurrent cancer. Our medical malpractice lawyers may be able to help you hold the doctor accountable and recover the compensation you deserve. We offer a free case evaluation to determine how we can help you and what your legal options are. For a free consultation, call 855-633-2757 today. If remission means no cancer cells remain in your body, then why do a certain percentage of cancers return at a later date? The answer is that contrary to popular belief, cancer treatments, such as chemotherapy and radiation, often do not remove every single cancer cell in the body. It is common for a small number of cells to remain. These cells are usually too few in number to appear in follow-up tests. Frequently, these cells stay dormant and never proliferate, allowing you to remain essentially cancer-free. But in the event they begin to divide and spread, you can be faced with the same situation you were in the first time, and you will typically require the same treatment. Your doctor’s responsibility to you does not end when he or she declares you in remission from your initial bout with cancer. Recovering cancer patients, even those in remission, require extensive follow-up testing to screen for recurrence. It is the job of your doctor to prescribe an appropriate follow-up regiment and to screen you rigorously. When doctors misdiagnose or fail to diagnose recurrent cancer, it usually happens for a couple of reasons. One, the doctor did not order follow-up testing that was extensive or frequent enough. Two, the doctor ordered testing but did not interpret the results correctly. Regardless of how your doctor erred, they could be liable for malpractice damages if your misdiagnosed recurrent cancer caused you to suffer harm. A local recurrence occurs when cancer comes back in the same place that it appeared the first time. Regional recurrence happens when cancer comes back and spreads to nearby lymph nodes. Distant recurrence means cancer has spread to areas of the body that are far away from the original cancer. Cancer that spreads to other body parts or organs is known as metastatic cancer. Although any type of recurrent cancer calls for immediate treatment, metastatic cancer is by far the most dangerous and life-threatening. Even if a recurrence begins locally or regionally, it will usually metastasize if left untreated long enough, effectively becoming a distant recurrence. That is why it is so essential for your doctor to make the proper diagnosis and to do it early in the process. We first must establish that a duty of care existed between your doctor and you. A duty of care simply means your doctor had an implied obligation to provide you with a certain level of care. As long as you had an active doctor-patient relationship, a duty of care existed. We can show you had this relationship by offering documents such as insurance paperwork or billing statements from the office. We next need to demonstrate that your doctor breached their duty of care. A breach of duty occurs when a doctor’s actions or lack of action fail to meet the “reasonable person” standard. This standard compares what your doctor did or did not do to how a reasonable person would have behaved in the same situation. Simply put, if we can show it is more likely than not that another doctor would have made the proper diagnosis, we can show a breach of duty. With a breach of duty established, we then must link it to actual injuries that you suffered. In the case of a cancer diagnosis, this typically means showing how your condition worsened and became more difficult to treat because of your doctor’s failure to diagnose cancer at an early stage. Finally, we show the specific economic and non-economic damages you incurred because of your injuries. For instance, your medical bills, lost wages from work, reduced earning capacity, pain and suffering, and loss of enjoyment of life. 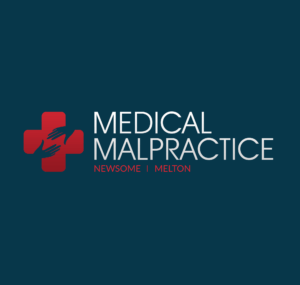 If you or your loved one suffered harm because a doctor misdiagnosed or failed to diagnose recurrent cancer, the Newsome Melton team can help you hold that doctor liable for medical malpractice. We have a long and successful track record of recovering compensation for clients injured by medical malpractice. We want to review your case and let you know how we can help. For a free case evaluation, call us today at 855-633-2757.